While caring for a loved one who has been diagnosed with dementia can be a devastating journey, and even an overwhelming experience at times, rest assured that you are not alone. Worldwide, approximately 44.4 million individuals are currently suffering from dementia. By 2030, that number is expected to increase to 75.6 million. Whether you’ve just recently realized your loved one’s diagnosis, or you’ve been aware of it for some time, you are likely experiencing a variety of fears, emotions and questions about what to expect. While adjusting to life with dementia is definitely not an easy task, it is important to remember that the more support and knowledge you have, the better you will be able to care for your loved one. Additionally, making preparations as early in advance as possible can make things much easier on everyone as the illness progresses. In the beginning, you may find that you are having difficulty confronting these questions because it forces you to think about what is to come. Addressing these concerns early is essential, however, and you will likely find that both you and your loved one experience a sense of relief once the decisions have been made. Who will make important decisions about healthcare and finances as the disease progresses? You may wish to consider getting advice from a legal professional in order to be well informed of your options. If your loved one is still capable of making these decisions himself/herself, it is a good idea to respect their wishes as much as possible, and get them written down if you can. Having a paper copy of future plans will not only help to preserve your loved one’s wishes, but will help other family members better understand what to expect as well. Where will the loved one live? While many people who are suffering from dementia opt to move into a long term care facility that offers 24/7 supervision and support, others choose to remain in their homes for the duration of their dementia care. These days, with all of the home healthcare options that are available, many families discover that their needs can be met just as well when they continue to live in their home, as long as they are not living alone and their home can be made into a safe environment for them when the disease progresses. How will needs be met? Many times, friends and family members simply assume that a nearby relative can (and will) take on the responsibility of providing dementia care to a patient, and while in some cases this may be a solution, oftentimes is just isn’t possible. Dementia care is a massive commitment, and typically becomes even more demanding over time. In most situations, especially when dementia care becomes needed 24/7, it is just too much for one person who may have a family, a job or other obligations. It is important for family members to discuss the possibility of shared care, and enlist the help of a home healthcare provider in order to obtain sufficient support. What types of care will need to be provided? As your loved one continues through their journey with dementia, various types of care will need to be provided, and probably at advancing levels. 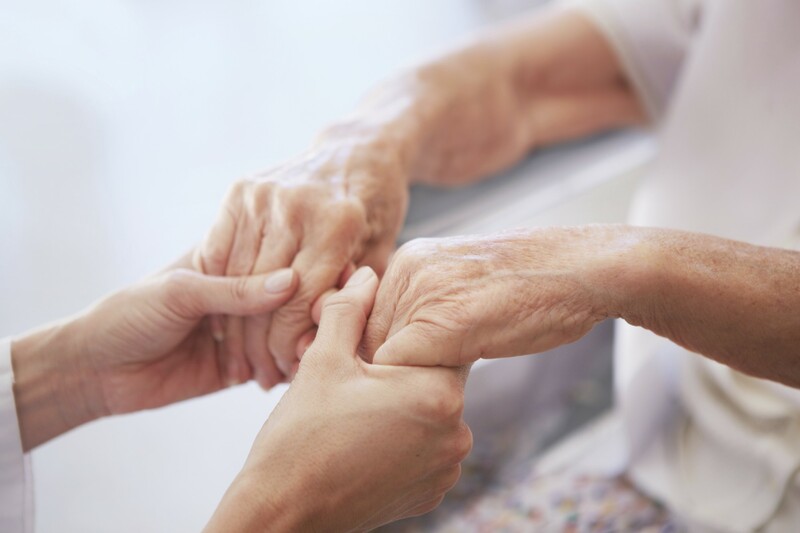 In the beginning, your loved one may simply need to be reminded about when or how to do things, but as the disease worsens, he or she may need more intensive assistance like help with feeding, bathing, dressing and completing other daily skills. For more information about providing care for your loved one with dementia, contact Bayshore HealthCare today 1-877-289-3997.